Some clouds in the morning will give way to mainly sunny skies for the afternoon. High 57F. Winds NNE at 15 to 25 mph..
Clear. Low 34F. Winds NNE at 10 to 20 mph. Three people were charged Monday with party to attempted robbery in an incident in Clinton in which a Janesville woman was shot. 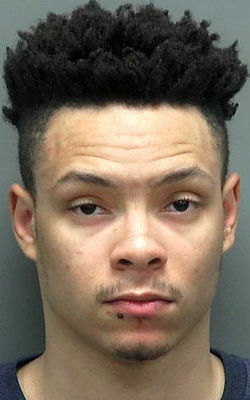 Charged in Rock County Court on Monday were the shooting victim, Taylor R. Lantz, 18, and Jerry F. Williams, 21, both of 2224 Frontier Road, Janesville, and Jared A. Mikkelson, 18, of 5609 W. Plymouth Church Road, Beloit. 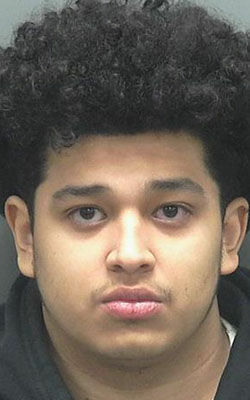 Jesus Rangel Silva, 18, of 727 Milwaukee Road, No. 14, Clinton, was charged in February with attempted first-degree intentional homicide with a dangerous weapon and two counts of first-degree recklessly endangering safety with a dangerous weapon in the incident. Silva told police he had been “jumped” by people who pepper-sprayed him and threw him to the ground near his Clinton residence the night of Feb. 18, according to the criminal complaint. Police later learned Lantz was being treated at a Janesville hospital for a gunshot wound. Lantz told police that she, Williams and Mikkelson had gone to Clinton to buy marijuana from Rangel Silva, according to the complaint. Lantz said Rangel Silva approached them with a handgun, a fight ensued, and she was shot in the shoulder, according to the complaint. The three fled in a car, heard shots fired at them and believe one of the shots broke a car window, according to the complaint. Rangel Silva later admitted he shot Lantz and did so out of fear because he thought he was being robbed, according to the complaint. Mikkelson told police Feb. 26 he wanted marijuana, could not afford it and devised a plan to rob someone of 1 pound of marijuana, according to the complaint. Mikkelson told police he had gone to Clinton with Lantz and Williams with the intention of robbing Rangel Silva, who told him he would sell a pound for $1,700, according to the complaint. Rangel Silva stood mute to the charges against him March 15, and a not-guilty plea was entered on his behalf, according to court records. Arrest warrants were issued for Lantz and Williams in court Monday. Mikkelson’s initial court appearance was scheduled today.